Using criminal analysis to enhance Africa’s response to transnational organized crime. Africa has enjoyed increasing stability and rising economic growth in recent decades, but this has also facilitated cross-border criminal activity across the continent. To combat the rise of organized crime in Africa, INTERPOL is part of Project ENACT, a three-year project (2017-2019) which works to mitigate the impact of transnational organized crime on development, governance, security and the rule of law in Africa. The project seeks to build a comprehensive knowledge base on the role of organized crime in Africa based on monitoring and evidence-based analysis to inform policy decisions, and to boost the skills and capacity of key African stakeholders to better respond to transnational crime threats. Bringing together heads of analytical units across Africa. ENACT is funded by the European Union and implemented by INTERPOL and the Institute for Security Studies, in partnership with the Global Initiative Against Transnational Organized Crime. At INTERPOL, we have developed a criminal intelligence analysis training programme for law enforcement officers across Africa, designed to build their investigative capacity. Training provides junior intelligence analysts and field investigators with the skills to analyze large amounts of data from a variety of sources and turn it into accurate, actionable intelligence. Classroom sessions are combined with practical exercises and simulations allowing participants to apply their new skills to real-life situations. Several courses include a ‘train-the-trainer’ aspect aimed at police academy instructors, so they can integrate criminal analysis training into their national police training curricula. Topics discussed include the intelligence cycle, offender group analysis, case/comparative case analysis, financial analysis, analysis of telephone communications and more. We are extending access to our I-24/7 secure police communications system to specialized agencies and frontline officers who need quick and direct access to INTERPOL information. This allows them to access our criminal databases and share critical crime-related information with their counterparts. 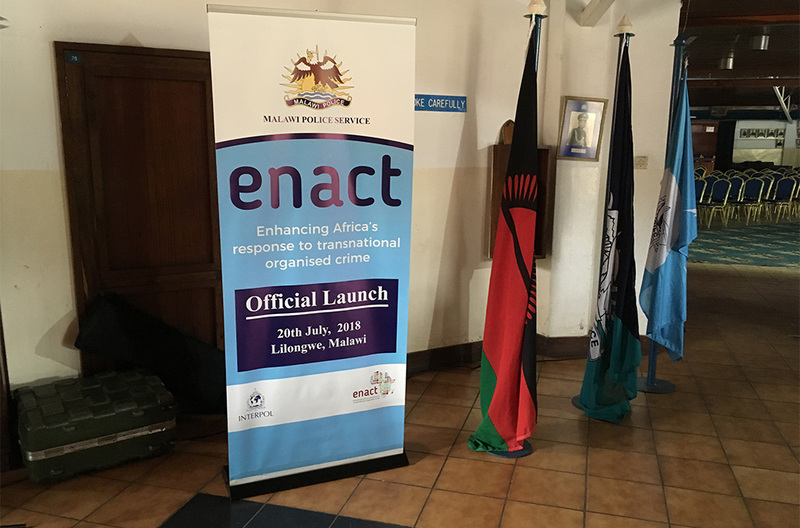 Through ENACT, we extended access to I-24/7 to four national analytical units which opened in Congo, Malawi, Niger and Uganda during 2018-2019. These units are responsible for intelligence collection and analysis within their national police. We provide technical equipment to these four units as well as analytical software, training and mentoring. To provide dedicated support across the continent, an experienced criminal intelligence analyst will be stationed at each of INTERPOL’s four Regional Bureaus in Africa (Cameroon, Côte d’Ivoire, Kenya and Zimbabwe), as well as the General Secretariat headquarters in Lyon, France to support North African countries. 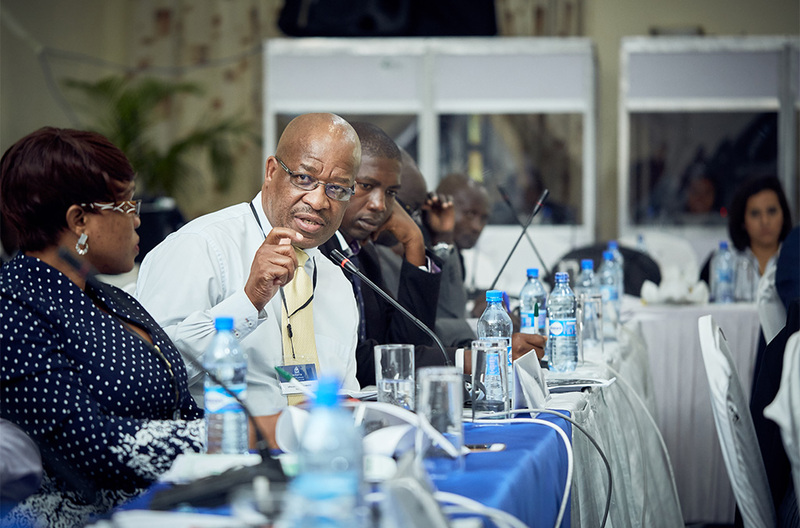 The regional analysts will develop strategic analytical reports on current organized crime threats and emerging ones in their region and across Africa which will be shared with national police chiefs during the annual meetings of the regional chiefs of police organizations – EAPCCO, WAPCCO, SARPCCO, CAPCCO. Additionally, the analysts will work directly with the countries in their regions to provide support and mentoring on data collection and criminal analysis procedures. A secure online analysts’ platform will provide information on available training courses, publications related to criminal analysis, new analytical software and more. It will also serve as a forum for analysts in the different countries to build a strong network and share experiences. 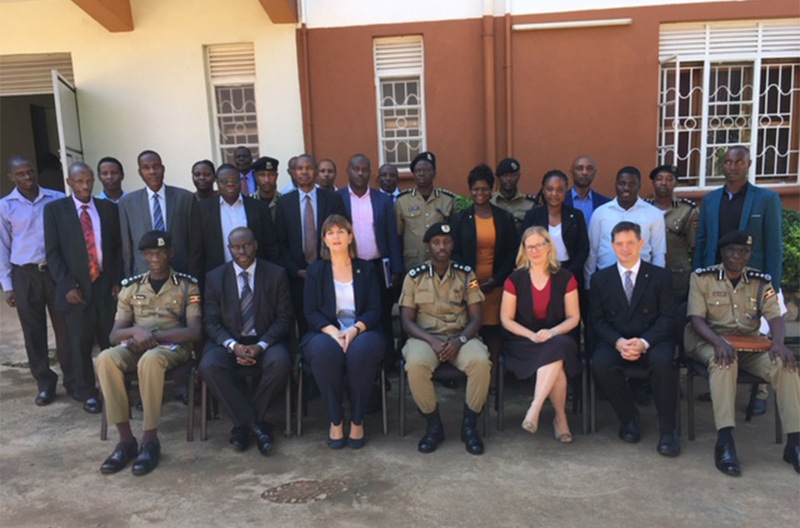 Six criminal intelligence analysis training courses took place, reaching 129 officers from 16 countries, taking the total since 2017 to 239 officers from 34 African countries. Two courses combining criminal intelligence analysis and the INTERPOL Instructor Development Course. 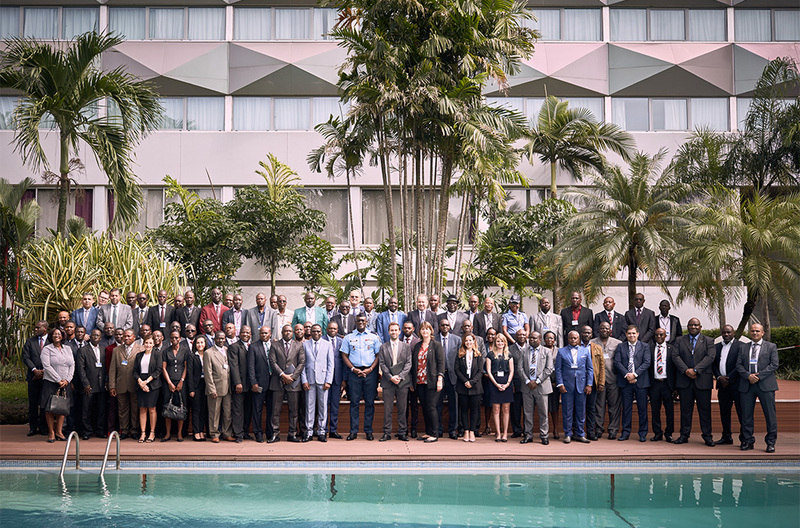 A total of 32 African officers from 18 countries are now INTERPOL Certified Instructors and can teach analysis in a very structured way at national level. 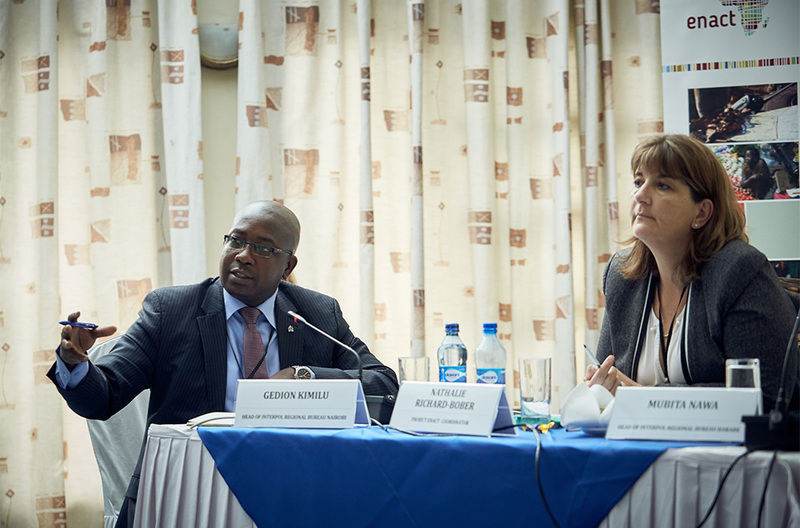 Two conferences were organized, entitled “Understanding and Countering Organized Crime in Africa with Criminal Intelligence Analysis”. Their aim was to gather Heads of Analysis in our African member countries in order to collect better quality information and intelligence, and to share new developments in the field of criminal intelligence analysis. 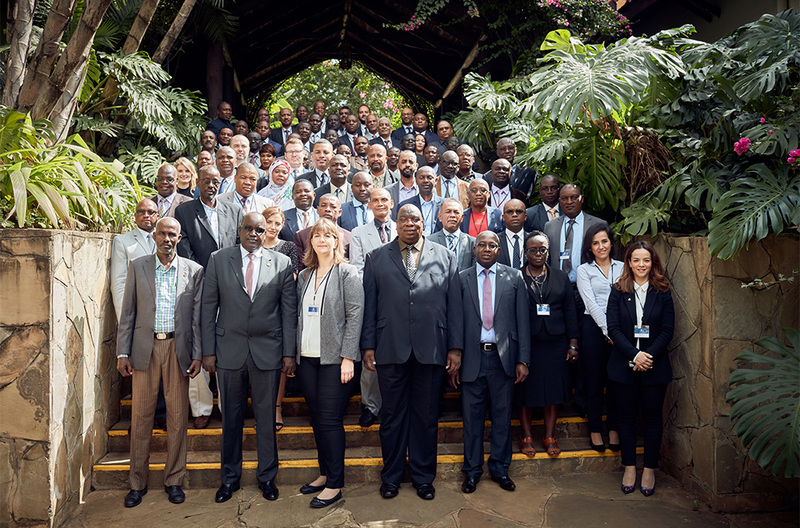 A total of 136 senior officers from 47 African countries attended. Five regional analytical reports (South, West, Central, North and East Africa) on organized crime and a continental report were produced. They looked at data related to national crime priorities and included a questionnaire completed by countries. Law enforcement versions were distributed to the Chiefs of Police and a public version was published on the INTERPOL and ENACT websites. The Malawi analysis unit opened on 20 July 2018 and the Uganda unit opened on 19 November 2018. The analytical units are now able to work on specific criminal cases and to complete analytical reports. The first semester of 2017 was mainly dedicated to the recruitment of INTERPOL’s ENACT staff. The second semester was dedicated to training activities, workshops and promotion of the project during African Chiefs of Police meetings.